Lauren (Ebanks) Hunt Realty Advisory Group, Inc. | Realty Advisory Group, Inc.
Lauren is a 2006 graduate of Southern Methodist University. Prior to joining Realty Advisory Group as an associate in 2007, she interned at a division of the world’s largest advertising agency, Publicis Worldwide, in Dallas, TX. There, she was an integral part of the public relations team that publicized John Q. Hammons properties (the largest independent private owner and hotel management company in the United States at the time). 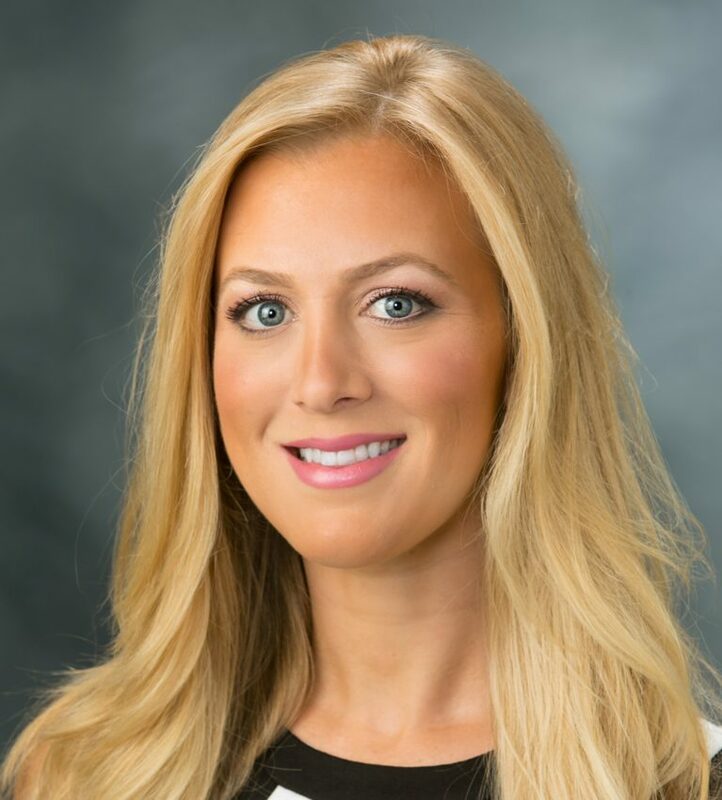 Lauren brings her real estate marketing perspective to Realty Advisory Group, and provides clients with extensive market knowledge combined with tactical solutions to meet their real estate objectives. She is a member of the LA North Team and specializes in representing owners, tenants and investors of industrial property in the Greater LA North region. In 2009, Lauren represented aerospace manufacturing firm, RAH Industries, in its purchase of the 150,000 square foot former Los Angeles Daily News facility in Valencia. The transaction represented the largest building sold in the Greater San Fernando Valley that year. In 2014, the LA North team represented two of the five largest leases competed in the region. Her client list includes: RAH Industries, MMD Equipment, UniFirst, Whitmor/Wirenetics, Star Nail International, Bang Printing, Avalon Investment Company, Discovery Gateway II, LLC, TIC Investment and Rexford Industrial. Lauren is an active member of the AIR Commercial Real Estate Association.